Property maintenance is a critical part of rental property management. Having well-maintained rental properties helps increase the value of a property, improve renter happiness, and avoid hazards that could injure renters. However, there is more to property maintenance services than simple upkeep. Many property managers need a property repair and maintenance solution that can deliver on-demand service in a fast and cost-effective manner. 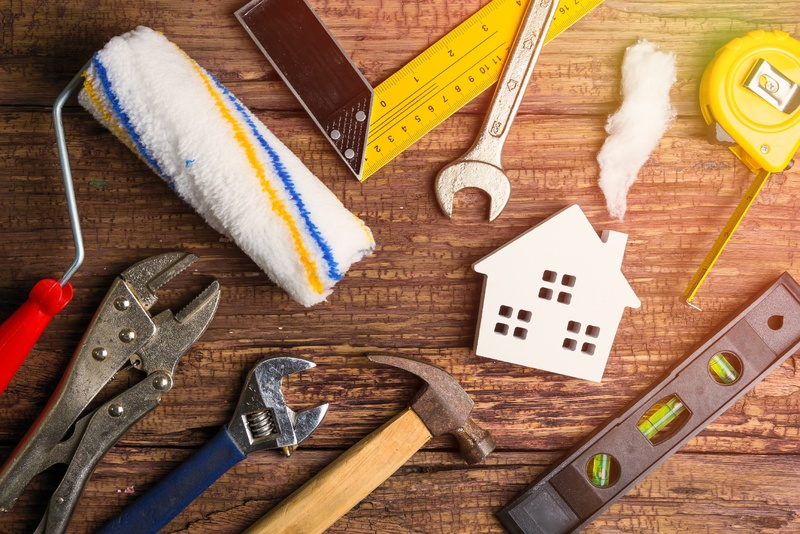 Why is on-demand property maintenance a must for property managers? What are the benefits of having an on-demand rental property maintenance solution versus simply using in-house maintenance staff or manually searching for local emergency repair technicians? Whether you manage residential or commercial properties, there are many reasons why you would need an on-demand property maintenance service solution instead of using more traditional maintenance services. Before the rise of the internet, on-demand services were rare. If someone wanted to special order a product not carried in their local stores, they would have to wait days or even weeks for someone to mail off a form or place a call to a distribution center half a continent (or more) away before the product would even start the shipping process—which could take several more weeks. Today, people can place an order for almost anything they can think of online and expect the package to be on their doorstep in a day or two. In other words, modern consumers are used to near-instant gratification. Because of this, slow and inefficient property maintenance services simply won’t cut it. Traditional property maintenance services tend to be too slow—often requiring a day’s notice or more just to schedule an appraisal, let alone get work done. On-demand property maintenance services, on the other hand, can provide near-instant gratification for property repairs in an emergency. For example, the Homee On Demand property maintenance solution typically has a wait time of just half an hour for a maintenance technician to arrive once a job request has been approved by the property manager. This means renters spend less time dealing with inconvenient issues—which helps to improve overall renter happiness. Loss of Product. Damage to a building’s electrical systems can cause refrigerators to fail—resulting in a loss of perishable goods. If the electricity isn’t restored quickly, the business might not be able to properly store previously-scheduled shipments of perishables that arrive during the short. Loss of Business. Many modern businesses cannot operate efficiently in a damaged property. Consider this: According to data from the Federal Reserve Bank of San Francisco, “60 percent of in-person payments under $10 were made in cash, compared to 20 percent of in-person transactions for $25 or more.” So, if a business’ credit card machines go down because of a lack of power or lost internet connection, they may not be able to process many transactions—small or large. Risk of Injuries to Employees and Customers. Commercial renters need to remediate any damage to a property as soon as possible because of the risk of an employee or customer becoming injured. Slow property repair services that take days to schedule an assessment are not sufficient to protect these businesses from liability risks. For any of the above situations, time is of the essence to a commercial property renter when it comes to property maintenance services. This is why on-demand services for property repair are a must for commercial property managers. When dealing with commercial rental properties, the sooner rental property maintenance services can be completed, the better. An on-demand property maintenance service such as Homee On Demand can be less costly than searching for local service technicians on your own. Letting Property Managers Set Cost Limits for Service. A property manager can set a cost limit for a property maintenance job in the Homee On Demand service software before releasing it to the world. This helps keep property repair services on-budget (though if the cost limit is too low, a Homee might not be able to take the job). Tracking Homees by the Minute, Not the Hour. In traditional property maintenance services, the time of the technician is usually charged by the hour—rounded up. With Homee On Demand, however, labor is charged by the minute, for every minute the Homee is there. This helps to minimize labor costs. For example, if a traditional service tech was onsite for an hour and 20 minutes, two hours of labor would be charged. A Homee in that same circumstance would only charge for one hour and 20 minutes of labor. Providing Accountability for Labor and Materials. At the end of each Homee On Demand property maintenance service, the Homee must file a report detailing the work they did and a complete list of the materials they used. Additionally, any excess materials ordered for the job are left with the renter or property owner to help prevent over-ordering of materials. Ensuring Stable Rates for Property Repair Services. When property managers directly contract maintenance technicians on their own for emergency repairs, the negotiating power is all on the technician’s side. They know that the repairs are urgent and that they can charge a higher rate. With Homee On Demand, the rates for each Homee are set ahead of time and are based on the technician’s overall expertise. The cost of labor won’t change just because it’s an emergency. Also, property managers can select a desired level of experience when placing an order for on-demand services. This way, simpler jobs can be assigned less experienced technicians to save money, while more difficult jobs can receive the attention they need. Need help finding on-demand services for property maintenance now? Talk to the HOMEE team to learn about our end-to-end property maintenance solution.